In Eastern Europe, herbs are a place where two worlds come together. Practices handed down through the generations collide with the realities of the modern world. In the five countries I visited on a three-week trip in June, this juxtaposition was unavoidable. When I travel, I fly into major metropolitan cities like Budapest or Istanbul, but I typically don’t stay there for long. The organic botanicals we offer are either cultivated on certified organic farmland in remote areas or wild-harvested in mountainous regions, which to this day are still sparsely populated. In this part of the world, many villagers live in wattle and daub houses with slate roofs and, if they’re lucky, have a horse to take them up to the herb collection sites. One reason I'm there is to bridge the gap between the collectors' multigenerational knowledge and the regulatory requirements we must follow. We help sustain the livelihood of our growers by sharing the latest and best practices with them. How do we do this? We do it through understanding. We seek to understand our Eastern European partners’ needs and help them to understand ours. The effort is mutually beneficial and takes ongoing, long-term communication. According to some herbalists, plants are at their most potent when grown in their native soils, which is one reason why we continue to grow and wild-harvest traditional herbs from places like Croatia, my first stop in Eastern Europe. While in this stunning country, I see our beautiful organic fields of borage and plantain leaf growing in neat, well-tended rows. I also visit the densely wooded canopy where our wild-harvested organic chickweed, periwinkle, lungwort, and sweet woodruff are just starting to emerge from the forest floor. To preserve wild plant populations, we make an effort to grow as many of our bulk herbs and spices as possible on certified organic farmland. In the case of these particular Croatian wild herbs, cultivation doesn’t make sense when these renewable resources are thriving in their natural ecosystem and are sustainably harvested by collectors informed by thousands of years of tradition. It’s my job on these trips to ensure the collection is still sustainably executed, and I am pleased with what I see. We take a break to hike in the unbelievably gorgeous Plitvice Lakes National Park before sitting down to a farm-to-table family dinner spiced with local paprika, cumin, and caraway. Enjoying this delicious meal alongside three generations of family farmers evokes the Sunday meals of my childhood, sharing home-cooked meals with my own multigenerational farm family back in southern Oregon. We laugh and enjoy each other’s company before I hit the road for Albania. Albania is a beautiful country, and it seems it’s just starting to be discovered. After years of an oppressive Communist regime and political strife throughout the 1990s, the country has now joined the European Union. This has allowed Albania to rebuild its infrastructure, making it more attractive for tourists, among many other benefits. We head to the range of seemingly endless mountains near the Macedonian border to visit with the wild-harvesters collecting our certified organic strawberry leaf. These collectors have been in the mountains for several days on this foraging trip, arriving by horseback and camping in the rugged terrain. Several men appear out of the brush, tall and lanky, with ready smiles and easygoing attitudes. Our freshly picked strawberry leaf is spread out on tarps, and I feel the temperature in the middle of the pile to make sure it’s not too warm, as heat can degrade the herb. Everything is nice and cool, and at this elevation it will remain so throughout the day. As we head back down the mountain, we pass a small village. I soon find myself sharing a beer and local cuisine with my guides, rooting for the country’s soccer team that is competing in the European Championship. The next day I hop aboard a plane to Sophia, Bulgaria. After I arrive, I jump into a 4x4 truck with my host and translator so that we can get to the collection sites I’d like to visit. We’re in the Rhodope Mountains, an area known for its mountain lakes. Its landscape reminds me of home, reminiscent of the beautiful woods so easily found a short drive from our headquarters in Oregon. 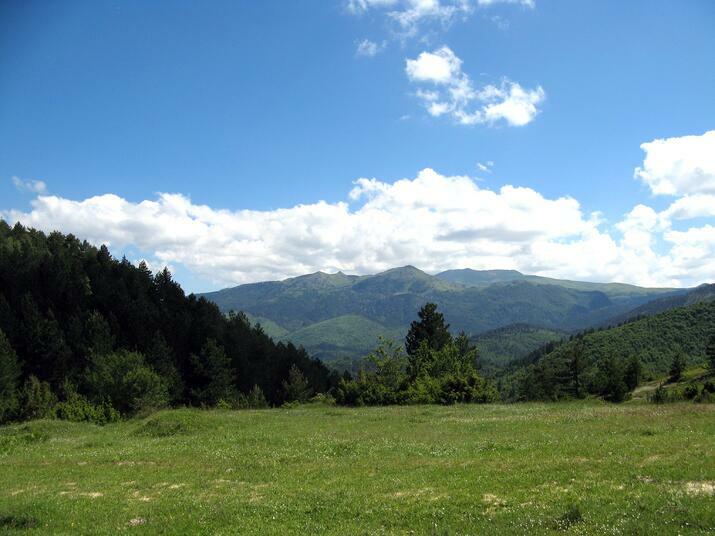 These mountains are dominated by coniferous trees densely packed on the hillsides. It’s raining off and on, and the mountain air is a welcome change from the heat and humidity I have experienced elsewhere in Eastern Europe. We eventually ford a stream in our truck and head to an upland meadow. Wildflowers that will later grace our virtual store shelves such as red clover blossoms and violet leaf are blooming as far as the eye can see. I’m surprised by how remote and unpopulated this beautiful area is. Shhhhh … let’s keep it our little secret! This was my first visit to our farm in Turkey, the first certified organic farmland in the country. Read more about my fascinating trip there in this blog post. Hungary’s vast plains and numerous hillsides are full of fertile farm ground. Its mountains are also host to many wild plants revered by herbalists. Our manager there employs four people full-time and has a network of 60 collectors. We have worked with him closely for decades to bring our customers high-quality, organic, and sustainably wild-harvested herbs. Upon arrival at the collection site, we play what feels like a game of hide-and-seek with the collectors as they make their way through the vast meadows and dense forest. 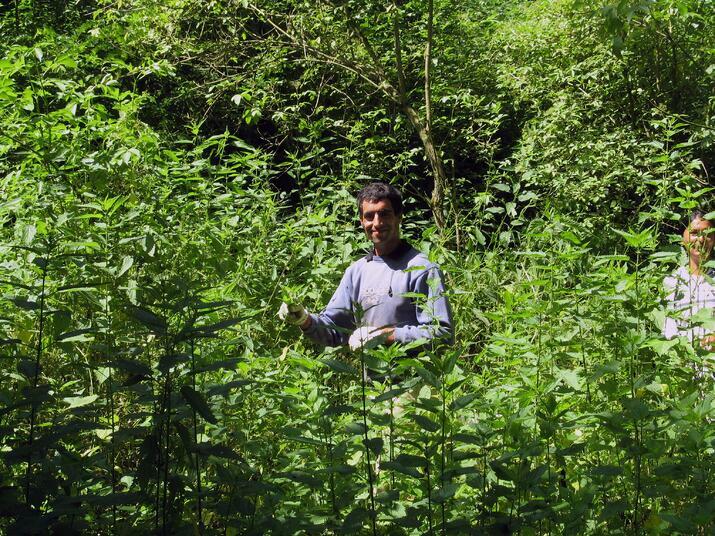 They are picking stinging nettle, which is one of our most popular herbs and a favorite in nourishing herbal infusions, herbal teas, and other traditional herbal preparations. By the time their three-month season wraps up this year, these pickers will have harvested 15 tons of fresh leaves for us, one handful at a time. While we have been getting wild-harvested nettle from this area for years, we decided at one point to move to domestically grown organic nettle in keeping with our desire to support organic farms closer to home. However, our discriminating customers missed the deeper hue of this European nettle, so we now offer both options on our virtual shelves. In my three weeks of travel to places where a history of conflict is still evident in the castles that held enemies at bay, where the scars of war are seen in bombed out buildings, and the oppression of a Communist regime is still dissipating, I found peaceful, open people just wanting an opportunity to live a decent life. I found amazing natural beauty and an abundance of some of the best botanicals available in the world. Most of all, I found understanding. With our support, the people there can continue a balance and healthy way of life that sustains them and the ecosystems in which they live. 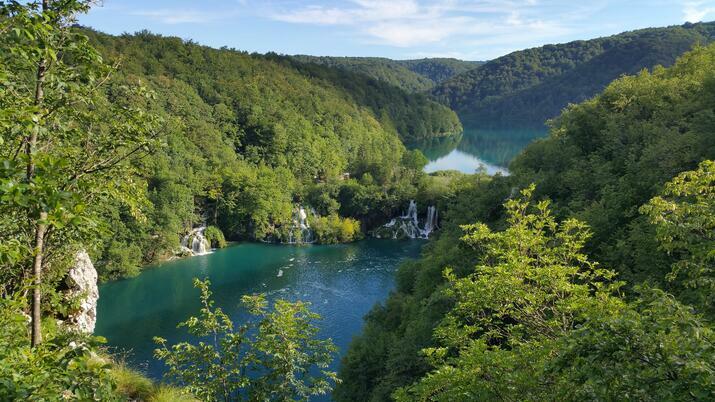 Pictured from top to bottom: Plitvice Lakes National Park, Croatia. 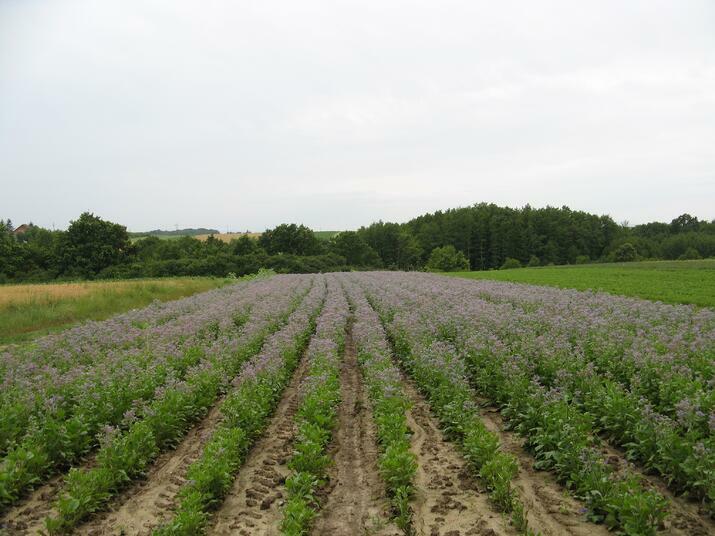 Rows of organic borage at our farm in Croatia. 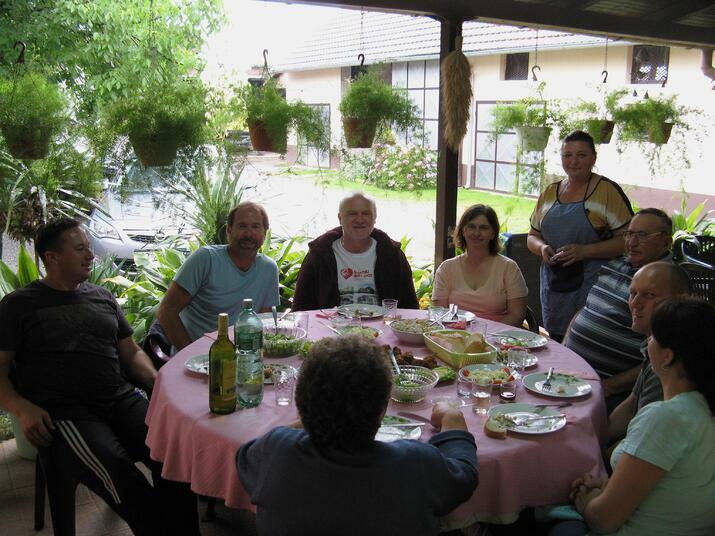 David enjoying a meal with one of our Croatian farm families. Sar Mountains, Albania. 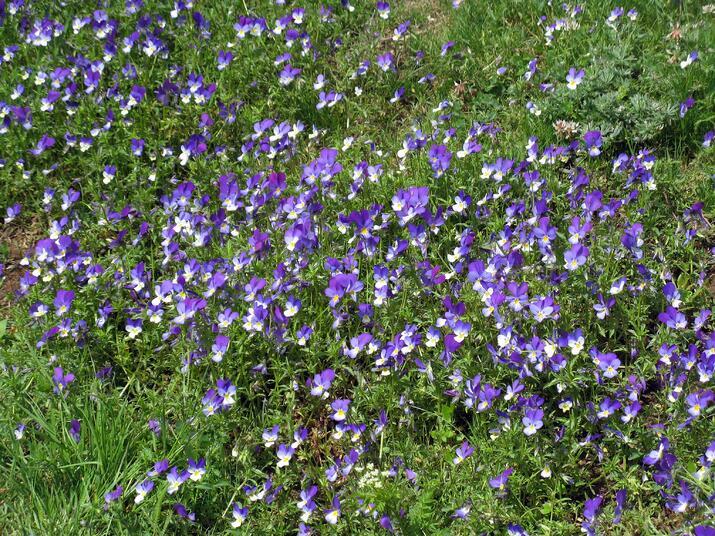 Fields of organic violet flowers. Our wild harvesters picking nettle in Hungary.David with one of our Bulgarian wild harvesters showing off some centaury and, of course, a Mountain Rose Herbs bumper sticker. Want to learn more from David's herbal Adventures? 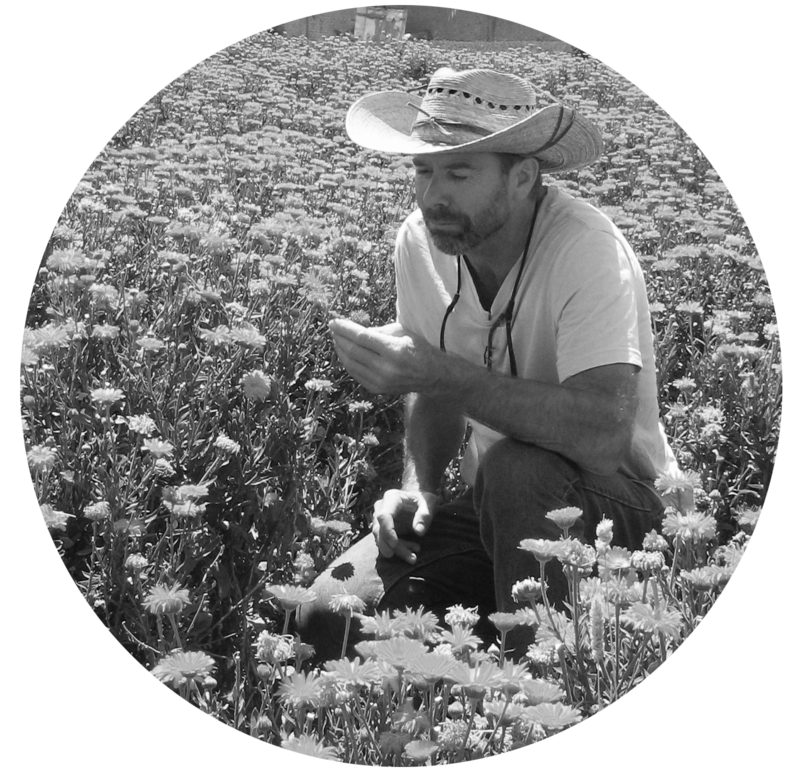 David is the Botanical Development Manager at Mountain Rose Herbs. He grew up in agriculture and brings an extensive background in herbal procurement, establishing production of certified organic botanicals, crop production, dehydration technology, and developing global raw material supply. 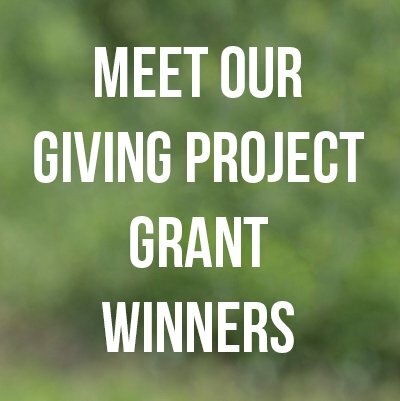 Having a passion for self-sufficiency and sustainable living, David raised his family off the grid on 50 acres in a remote part of northern California. He has taught renewable resource development, food processing and preparation, and is certified as a permaculture designer. He is also an ISO/FSSC 22000 lead auditor. David enjoys gardening, building with natural materials, and white water rafting.